It is with heavy hearts that we share the sad news of the death of our friend, fellow photographer and diver, Len Deeley. Len was taken ill on Wednesday evening 15th June 2016, with aortic dissection and was operated on at St Georges, Tooting but suffered a massive stroke. Len passed away on Thursday 16th June 2016. Our condolences and thoughts are with his beloved wife Pat and family this sad time. Len began diving as a member of 562 Para Sqn. T.A. back in 1970 with BSAC London Army 328 Branch. When Len left the T.A. in 1975 he joined BSAC East Ham Branch 604. However, Len really settled into serious diving when he became a member of the Billericay Sub Aqua Club (1620) in 1980 when it formed. In 1981 Len joined the British Society of Underwater Photographers, where he got to know many underwater photographers, some of international status. 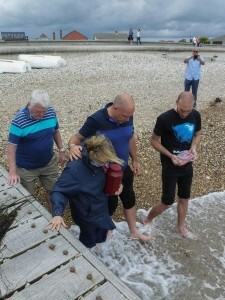 This was an invaluable part of a learning process, which helped him develop his underwater photography. In 1986 Len moved from Essex to Surrey and joined Cranleigh Sub Aqua Club and Godalming Photographic Club, with whom he developed an interest in other forms of photography and printing techniques. This led to his own darkroom and, latterly, digital imaging. Len also joined The Royal Society of Photography (RPS) and earned an ARPS distinction in the Applied Category using underwater images taken with slide film. This was followed in 2006 when Len achieved a Fellowship distinction with the RPS in the Nature category with digital prints. Having the right type of diving is so important for underwater photography and that is unlikely to be found with a normal diving club. In 1988 therefore Len formed Photosub Underwater Photography Club. Our club, with a membership of circa 50 people, provided the backdrop for much of his diving. 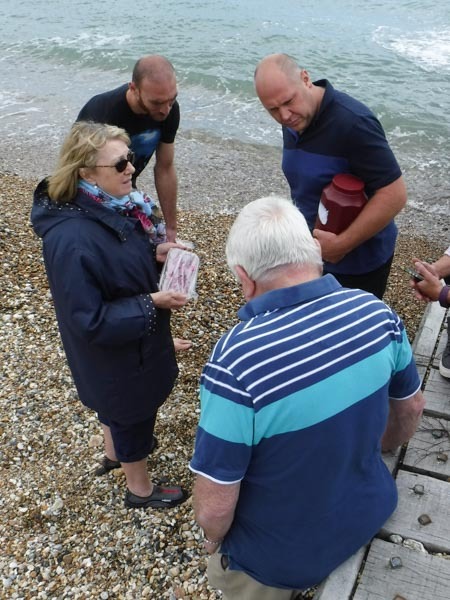 Len was the heart, sole and driving force behind the success of this highly social club, organising many events including meetings, competitions, presentations and the annual meal. Len and Pat opened up their home on so many occasions as the venue for regular club meetings. Len had been on the lecture circuit of the Surrey Photographic Association since 1993 and regularly give talks, slide shows and lectures, including photoshop technique and how to produce digital audio visuals. Len regularly organized diving trips for underwater photographers to locations worldwide, such as Red Sea, Indonesia, French Polynesia, Galapagos, Cocos Islands, South Africa, Mozambique, Philippines, Cuba, etc. By building up successes with entries in various British Photographic Exhibitions affiliated to the BPE Crown Awards scheme Len achieved the BPE1 award certificate in March 2007, BPE2 in April 2007 and BPE3 in May 2008. In 2009 Len was commissioned with a dive friend Karen Gargani to produce a book. The book, called Ultimate Diving Adventures, was released in UK in October 2009 with world wide publication thereafter. In March 2011 Len was awarded AFIAP distinction with the Federation Internationale Del’Art Photographique, and Len was awarded EFIAP distinction in May 2015. Len was Chairman of Mid Thames AV Group and a regular attendee and entrant of AV Festivals. He was well known for his incredible underwater photography. His most recent success were for ‘Thistlegorm Remembered’ in the 2016 Peter Coles IAC International and for ‘A Compasionate Man’ in the 2014 Great Northern Festival. Both sequences received Special Judges Mentions. Len was a big man in all ways and will leave a large hole in there lives of those who were fortunate enough to know him. We will all miss you Len, rest in peace. 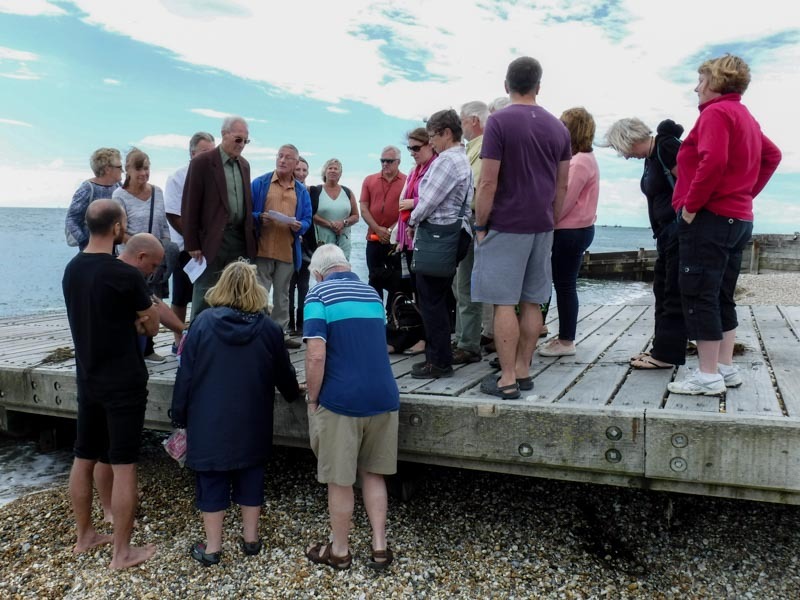 On Sunday 23rd July 2107, about 30 members of Photosub joined Len’s family at Selsey slip to remember Len Deeley, and to be with Pat when she scattered Len’s ashes in the sea. 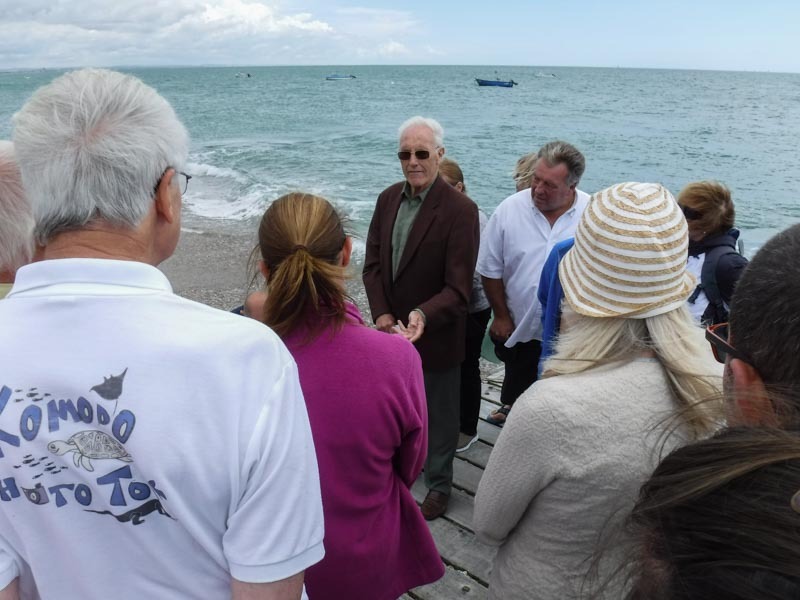 It was an emotional occasion, with Godfrey Bevan and Bob Soames remembering Len with a few words before Pat scattered Len’s ashes, and some rose petals in the waters at the shoreline. It was a fitting tribute to Len, and East Beach, Selsey was a very appropriate place for his ashes to be scattered. Len enjoyed diving on the Mulberries at Selsey and last dived there 2 years ago. The assembled group then retired to The Lifeboat Inn, public house for refreshments. 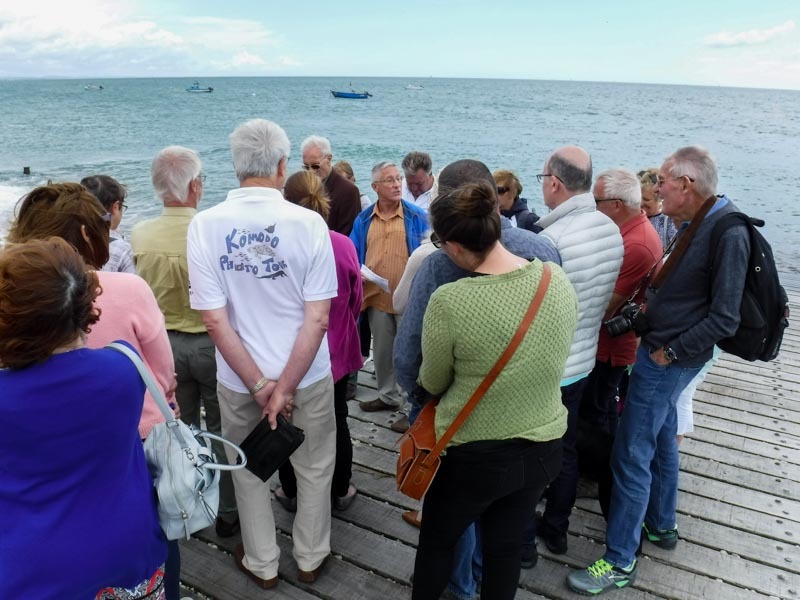 The weather was kind to us on the day, with a mixture of sunshine and clouds and a south-westerly breeze, keeping the first drops of rain until most of us had departed for home again. This entry was posted in Announcements by . Bookmark the permalink.